An old Indian proverb tells us: “Everything good is found in ginger.” And now there’s science to back it up. Studies published in the International Journal of Preventive Medicine reveal that ginger actually does contain hundreds of healing and health-promoting compounds. 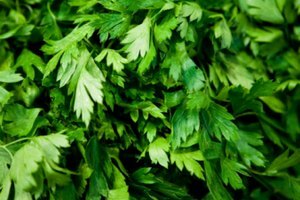 Gingerol, shogaol, paradol and zingerone, in particular, possess pharmacologically-active properties that are known to be anti-cancer, anti-inflammation and anti-oxidative. Whoa. Ginger root tea was a well-known treatment in Ayurveda, one of the world's oldest holistic medical systems. It is based on the belief that wellness comes from the delicate balance of mind, body and spirit. 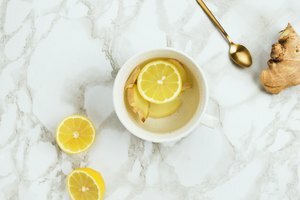 With recent studies providing even more proof of ginger's health-promoting powers, adding ginger to tea can be part of your modern-day wellness ritual, too. There are two ways to brew homemade ginger tea. 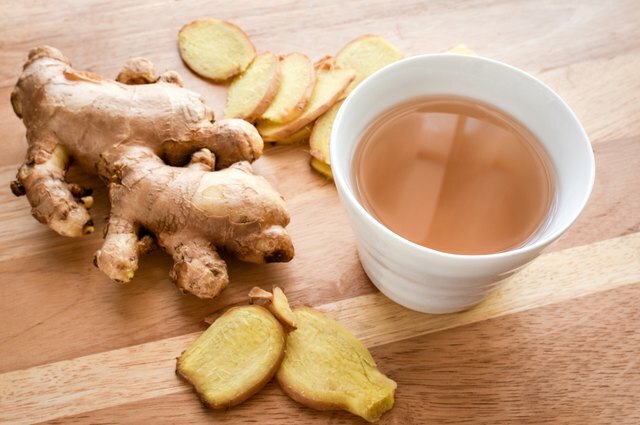 If you love the strong, spicy flavor of ginger root, you can prepare the ginger water and enjoy it straight up. If you want to mellow it out, or combine it with other flavors, simply pour the brewed ginger water right over your favorite tea bag. Ginger pairs incredibly well with lemon, orange, turmeric, hibiscus, vanilla, and peach. And if you need a caffeine fix—it’s otherworldly with chai. 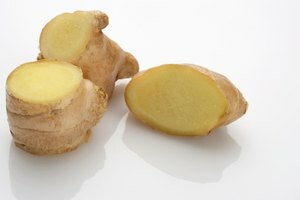 Fresh ginger root is readily available in the produce section of most grocery stores or Asian markets. Look for pieces that feel smooth, and emit a fresh, spicy fragrance. At home, ginger root will stay fresh for two to three weeks when tightly wrapped and stored in the refrigerator. Another option is to keep your ginger root in the freezer (up to six months) and slice off pieces for tea as needed. How's that for a hack? 1. Peel the skin off your fresh ginger root with the back of a spoon or vegetable peeler and discard. Then use a paring knife to cut 12 thin slices of ginger.2. Bring 4 cups of water to boil in a saucepan or teakettle. Add ginger slices to the boiling water and let simmer for at least 10 minutes. For a stronger flavor, let it simmer up to 10 minutes more. 2. Bring 4 cups of water to boil in a saucepan or teakettle. Add ginger slices to the boiling water and let simmer for at least 10 minutes. For a stronger flavor, let it simmer up to 10 minutes more. 3. Remove from heat and let the ginger water cool for 1 minute before straining. 4. Pour into a mug and enjoy as is, or pour over a tea bag and steep for 3 minutes. Level up the experience with a lemon slice, lime juice, local honey, or a sprig of fresh mint. When was the last time you had a tea party? 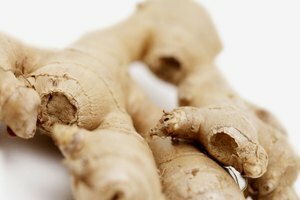 NCBI: Ginger (Zingiber officinale) reduces muscle pain caused by eccentric exercise.